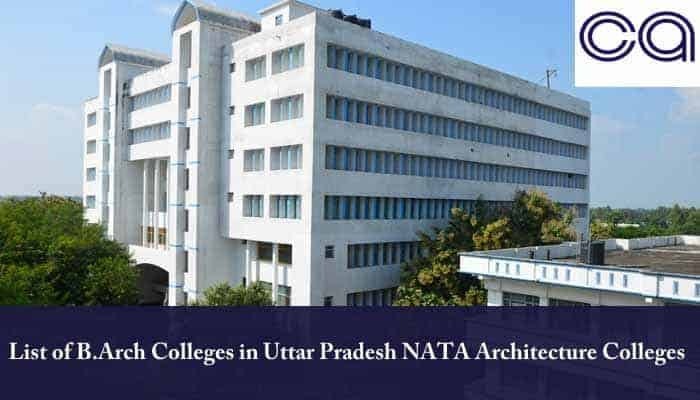 List of B.Arch Colleges in Uttar Pradesh: National Aptitude Test in Architecture (NATA) will be conducted in April 2019 at various examination centers across the Country. NATA examination is an annual examination for the architecture course. Every Year, millions of candidates appeared in this entrance test to get admission in top govt. and private colleges of Architecture course. After conducting the written examination, the Council of Architecture will publish the NATA Result and Score Card 2019. All candidates who appeared in NATA 2019 exam will be able to download their scorecard from the official website of CoA. There are so many architecture colleges who will accept the NATA Score Card. We are providing the complete list of B.Arch colleges in Uttar Pradesh.